In a world of rising college tuition, the idea of going to university may seem a daunting endeavor, and a four-year commitment can be too long to stay out of the work force. If you’re interested in accounting and want to know how you can enter the field without having a degree, or you like working with numbers and want to begin a career as soon as possible but don’t have a degree in accounting, you may want to know whether you need a degree to become a bookkeeper. First, let’s look at the differences between an accountant and a bookkeeper. While the titles are at times used interchangeably, and there is often some overlap of job duties, the two have distinct responsibilities and often varying levels of education. Bookkeepers generally handle daily record maintenance and reconciliation of bills, statements, and invoices. A bookkeeper who works for a large firm usually takes care of employee payroll, accounts payable and receivable, and at times, auditing. Accountants then take it to the next level by reviewing the bookkeeper’s entries, writing financial reports and assessing the financial situation of a given company. In most cases, a college degree is not needed to become a bookkeeper. However, in order to remain competitive, you may want to think about getting at least an Associate’s degree in accounting or bookkeeping. On-the-job training and experience is a significant part of a bookkeeper’s education, but the more formal academic training you have the better, even if you take continuing education courses in accounting practices, or seek certification in accounting software proficiency. The American Institute of Professional Bookkeepers provides invaluable advice about education and job training, as well as support for those who are looking to enter and are currently practicing in the field. You may be interested in pursuing the Certified Bookkeeper (CB) designation, offered by the AIPB or the National Association of Certified Public Bookkeepers, which will demonstrate your competence and knowledge of the field to potential employers. Even if an Associate’s degree is all that is (sometimes) asked for, having a four-year degree in accounting can be very beneficial. Why is this? One thing to keep in mind is how in-demand a bookkeeping position is. 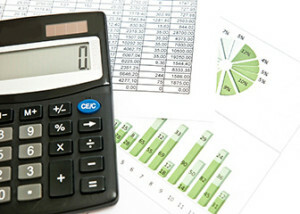 Almost all businesses require having a bookkeeper on site in order to manage their finances. As of May 2013, the U.S. Department of Labor estimated that there were roughly 1,586,380 current employees for the bookkeeping and accounting profession. While such a high number of employees means that business is strong in this field, it also indicates that there is more competition. While having an Associate’s degree might make you qualified for a position, having a four-year degree can help set you apart from the rest of the pack. Additionally, having a four-year degree can also help you earn more. According to the U.S. Department of Labor, the mean salary for bookkeeping is roughly $37,250. However, those who are more educated or experienced in their field can make up an annual salary of up to $51,640. While a high school diploma was once the only requirement for entering the bookkeeping field, changes in technology and company expectations, as well as a competitive job market, suggest that an aspiring bookkeeper should seek formal training. Whether you take continuing education courses or seek an Associate’s or Bachelor’s degree, if you seek out internships, make a point of learning the ins and outs of your field, write a strong resume, and prepare for job interviews, you will succeed in the bookkeeping profession.